This is my first photo trip to Southwest in the early spring of 2008. I have been these regions many times before. There was no serious photos taken in previous visitings. However, the idea to back to the region to take photograpgy has been long time in my mind. There were other things more important than photography at that time. The goal of this trip was to visit the Canyon Country in the Southwest region of the States, specifically, the southern Utah and northern Arizona areas of the four corners. There was total 14 days treval: Capitol Reef National Park - Moab (Arches and Conyonlands National Parks) - Monument Valley Navajo - Page (Lake Powell and Antelope Canyon) - Zion National Park - Bryce National Park. 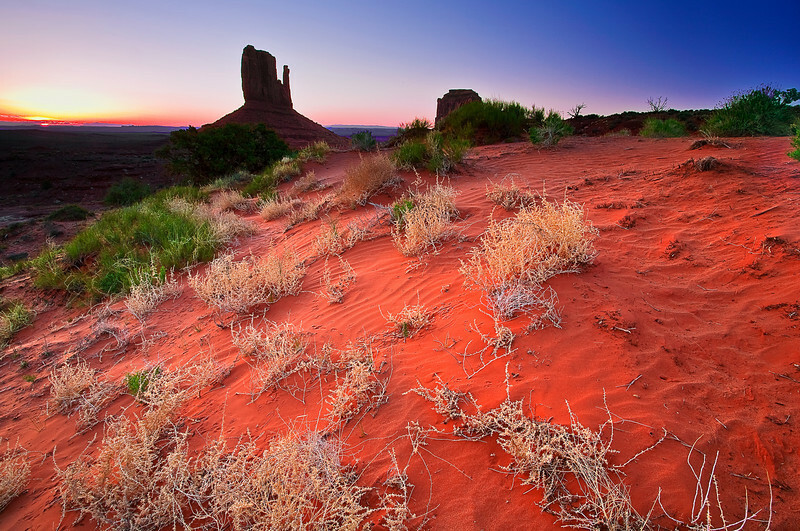 The best of photo-trip in the Southwest is the weather. It is almost guaranty for sunshine every day and so everything can go smoothly as planed. The photos of this file were from two trips to the northern Arizona, May 2008 (Monument Valley, Antelope Valley and Lake Powell) and April 2010 (Grand Canyon). The photos of this trip in Utah may be seen in the fold of Utah.